It is not vital that hypermetropia sufferers - those with longsightedness caused by an imperfection in the eye - have laser eye surgery to correct the condition, one expert has pointed out. Responding to a question on doctor.ndtv.com, Dr M S Ravindra, a consultant ophthalmologist at the Karthik Netralaya hospital in Bangalore, said that contact lenses are very effective way of managing hypermetropia. A reader had enquired about whether Lasik laser eye surgery would be necessary to treat her 25-year-old cousin"s hypermetropia, but Dr Ravindra said that contact lenses can correct it without the need for a lengthy procedure and the associated consultations and cost. 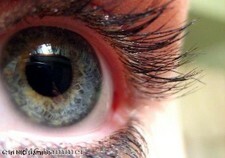 "Hypermetropia can be easily and permanently corrected with modern Lasik. On the other hand, with contact lenses, she can do anything!" the expert said. A writer on the Seer Press website recently noted that laser eye surgery is the way to gain 20/20 vision and can help to eliminate the need for other forms of vision correction, such as glasses.